The Giles family had a wonderful Halloween. I spent much of the day preparing for the Handmade Brigade Show on Sunday, but I managed to squeeze in pumpkin carving and a short visit to a carnival with the baby. Jeff and I didn't dress up this year, since we figured everyone would just be looking at the baby anyway. 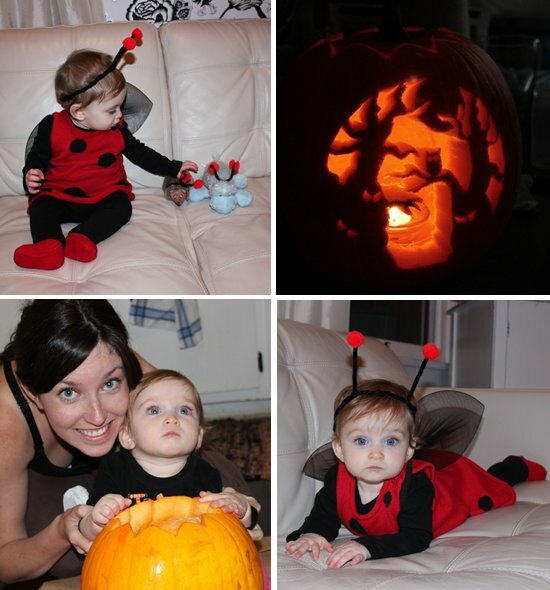 She was a lady bug, not super original but I think she was super cute! We even dressed up her little animals. What a pretty little lady bug...and her animals, too.